ART IS BEAUTY: TWIRL & TAKE A BOW Link Party and FEATURES! TWIRL & TAKE A BOW Link Party and FEATURES! Its Time to Twirl and Take a Bow! Its time to show US what YOU have been working on. 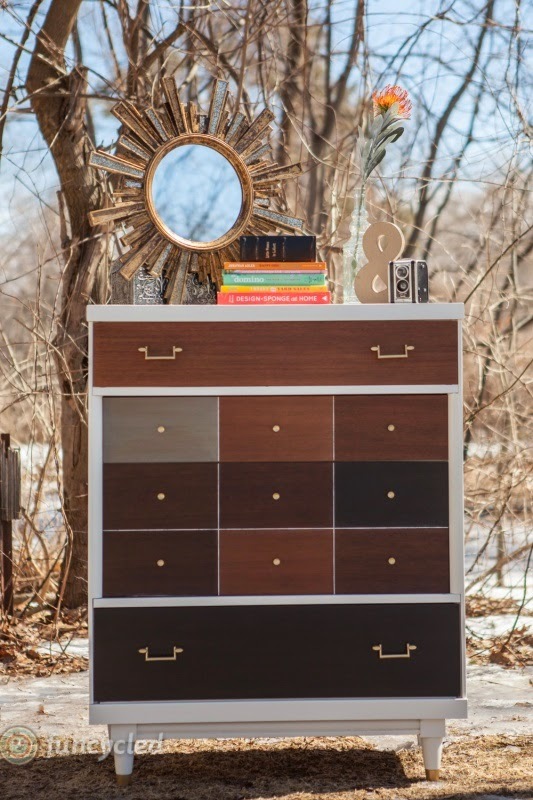 I finished up this MAJOR MAKEOVER on this dresser! AND..I even had time to work on a fun little Christmas Craft! 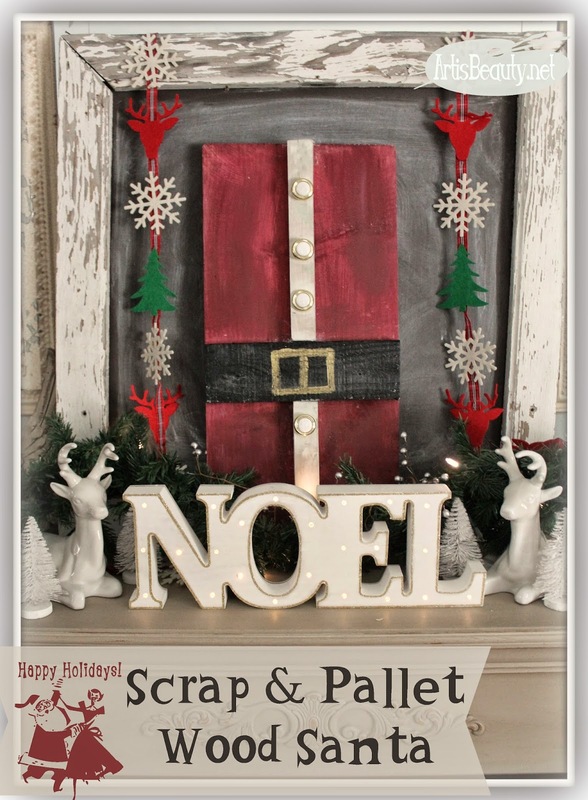 A scrap wood Santa Art. You can see the how to HERE! Lets get on to the PARTY!!!! Hi everyone! My name is Laura and I'm here as a guest co-host from The Unique Nest! I'm thrilled to have been part of this great Twirl and Take a Bow linky party for the past several weeks and I'm super excited to present this week's features. If you're not familiar with my blog The Unique Nest I'd love to have you stop over for a visit. I post a lot of inspirational home decor and interior design work, along with recipes and DIY projects. For this week's features I wanted to select bloggers that inspire me and try and give you a sense of "the look I love". There are so many talented, visionary and creative bloggers out there that it's tough to narrow it down to just a few. I hope you like my picks and I hope you have a great week! OK - so I'm crazy over the idea of this gratitude tree from Bliss at Home. 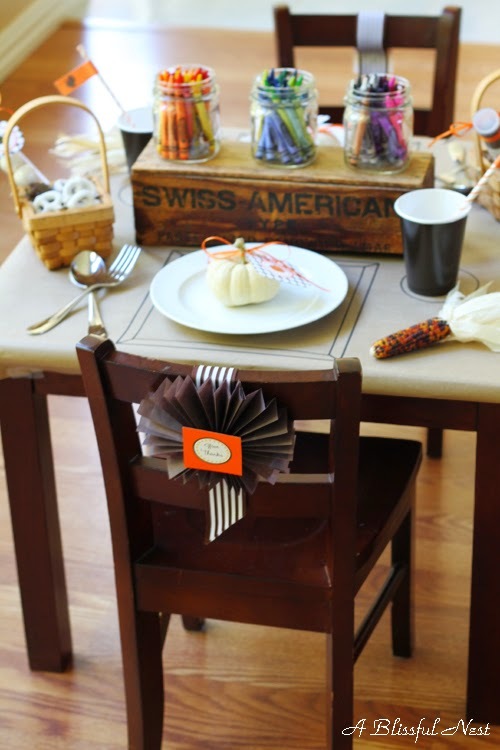 Not only is her room gorgeous (obviously) but it's such a great idea for Thanksgiving and super simple. I'm going to try this with the family this year and think it's just AWESOME! 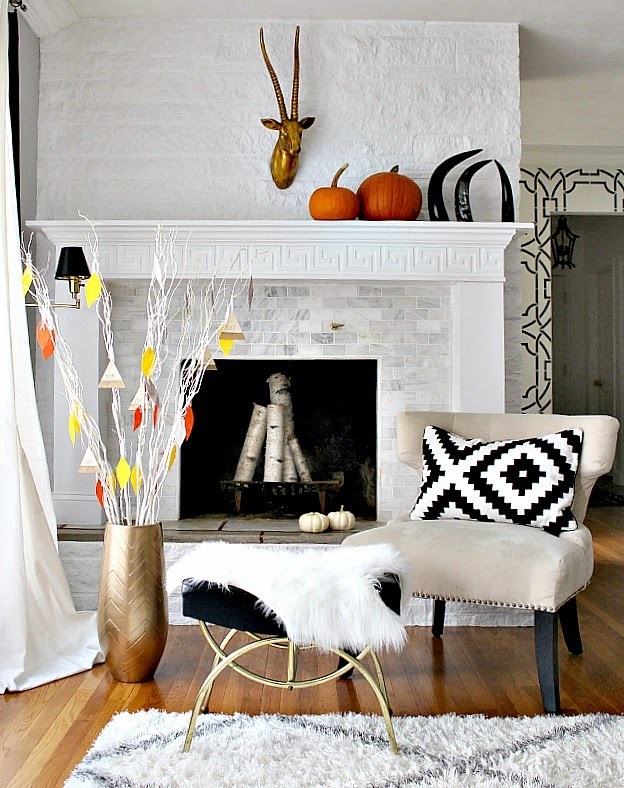 I couldn't pick features this week without sharing from one of my favorite DIY bloggers Brepurposed. This girl has so much talent and is always visionary with her designs. 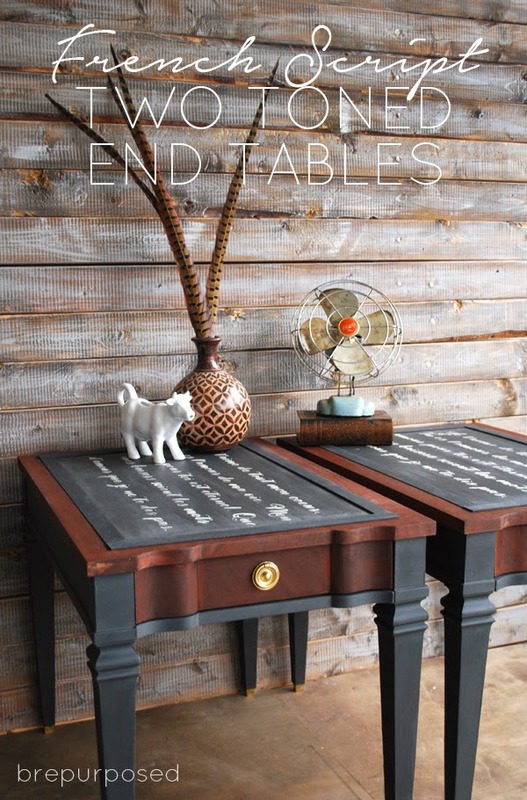 These two-toned french script end tables are just GORGEOUS! On a local note, one of my favorite bloggers/furniture DIYers is going to be launching her store opening next week in Troy, NY. 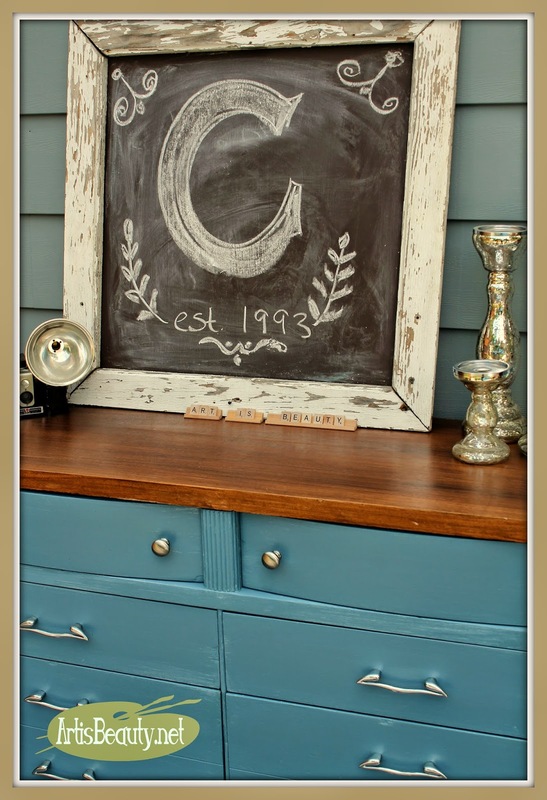 Sarah from Funcycled takes old pieces that have been left behind and turns them into treasures. She is so talented and I'm so excited that her dream of opening a brick and mortar is coming true. Congratulations Sarah! We'd love for you to follow each of our blogs, but we'd also like to connect with you on Facebook!